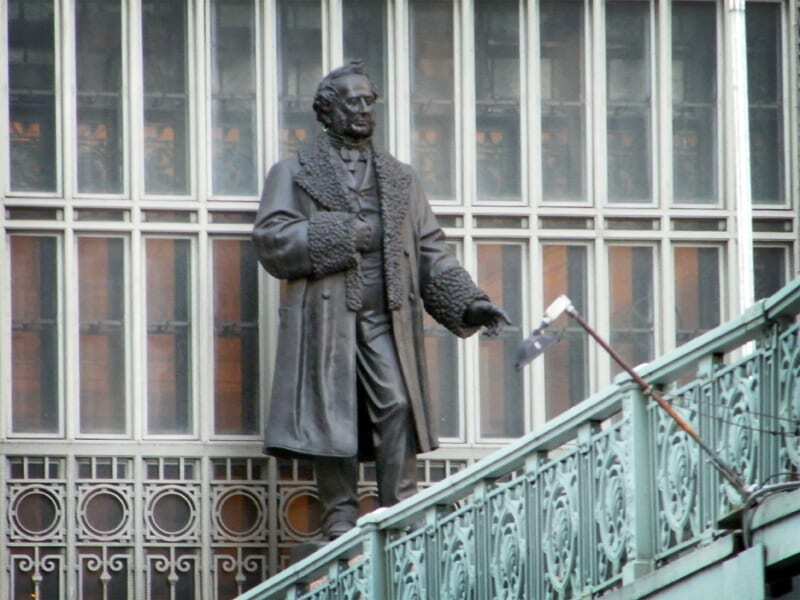 This week I figured I would talk about a rather important railroad figure, Cornelius Vanderbilt. He significantly shaped the early history of what are now known as the Hudson and Harlem lines. You may recognize the name, bordering Grand Central Terminal is Vanderbilt Avenue, and even inside the terminal, there is a Vanderbilt Hall. Many Vanderbilts that came after him was known only because of the fortune that Cornelius amassed in first steam boats, and then later, railroads. He wasn’t much of a philanthropist, but in his final years he donated money to what is now known as Vanderbilt University in Tennessee. Apparently many students there have little clue for which Vanderbilt the school was named. This hardly surprises me, as supposedly some children nowadays think that it was Buzz Lightyear, that was the first person to walk on the moon. 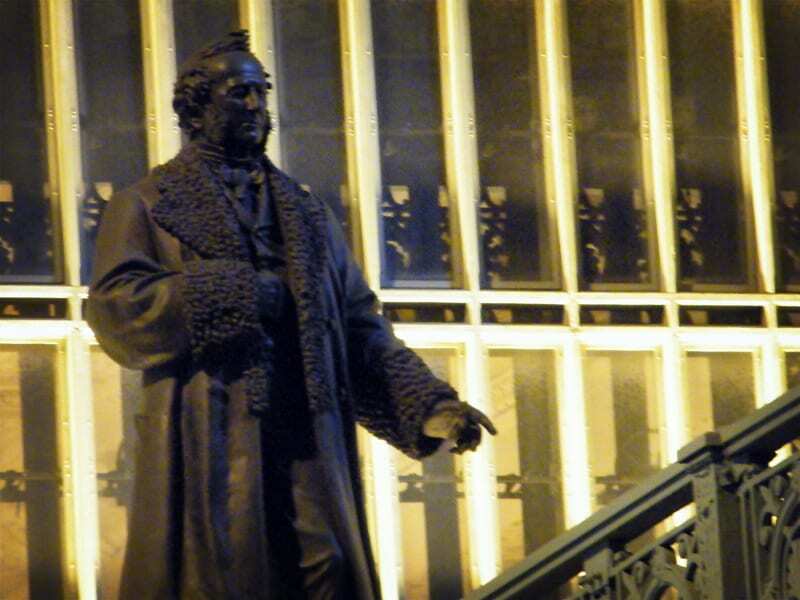 Cornelius Vanderbilt, who was nicknamed the Commodore, certainly was an interesting character. In fact, if tabloids as they are now existed when Vanderbilt was alive, they would have loved him. Tiger Woods is absolutely nothing in comparison to Vanderbilt. Cornelius certainly enjoyed his prostitutes. It would be tabloid front page news! His married life wasn’t much better. Both of his wives were in fact related to him, they were cousins. And even more strange, his first wife, Sophia Johnson, was a cousin on both his mother and his father’s side of the family. 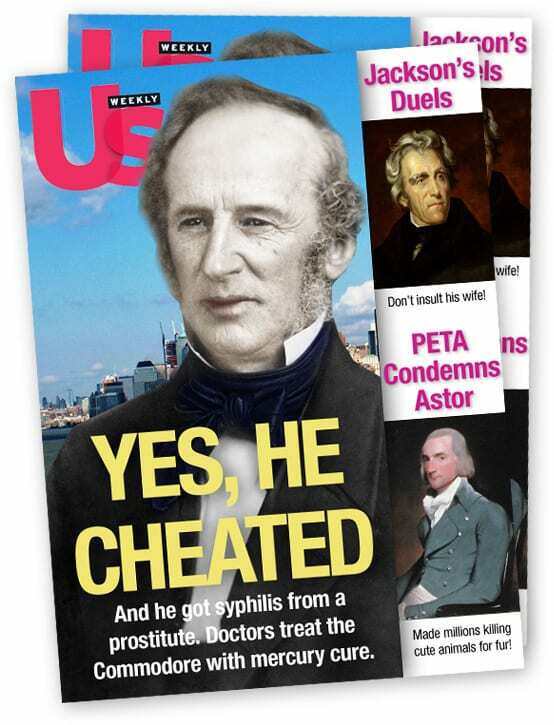 It was from one of his prostitutes that Vanderbilt acquired syphilis, which he spread to his wife. Though all of this occurred before penicilin existed. The preferred treatment for syphilis at the time was mercury. Dementia brought on by late stages of syphilis marked the final years of Vanderbilt’s life. He had built his fortune with small ships, and later steam ships, but it nearly doubled when he got into the railroad business. However it is uncertain how much of this was of his own doing, or the work of his son, Billy. Vanderbilt had eight daughters and three sons. William, known as Billy, was designated as Vanderbilt’s heir. Cornelius hated the idea of his fortune getting split, so upon his death the majority of it was left to Billy. Billy was not his favorite son, however, and was Cornelius’ second choice as heir. George Washington Vanderbilt, Cornelius’ favorite son, died before he was twenty-five from tuberculosis after serving for a time in the Union Army during the Civil War. It was only after his death that Billy became the chosen heir. Vanderbilt’s other son, Cornelius Jeremiah, was essentially disowned. He was explicitly barred from ever referring to himself as Cornelius Vanderbilt, Jr. He was an epileptic, which didn’t win him any favors from his harsh father. But it was his dealings in fraud that truly formed a wedge between himself and his father, who had little desire to pay for his fraudulent son’s debts. After the death of George Washington Vanderbilt, Cornelius began to groom Billy in his role as heir to the Vanderbilt fortune. 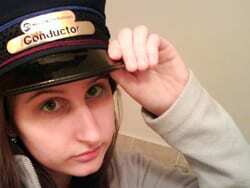 He was installed on the boards of various railroads that his father owned or influenced. In his later years Vanderbilt was not completely there due to syphilis’ effect on his brain. 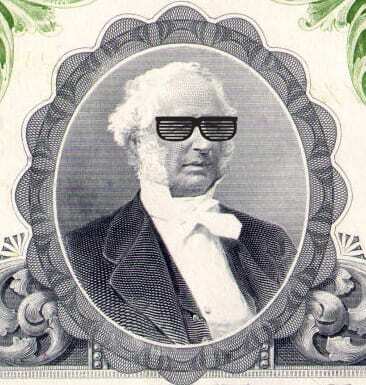 However the name Cornelius Vanderbilt instilled confidence to people involved in the industry. So he served much as a figurehead in his later years, with his son Billy making all the decisions. The building of Grand Central Depot was one of such actions. In his later years, Cornelius married a far younger woman: Frank Crawford. The marriage, however, was mostly one of convenience. Frank was a distant cousin from Alabama who had very little money and ran the risk of becoming completely destitute. Billy on the other hand did not approve of some of the prostitutes that frequently ended up in his father’s bed, and thus desired his father to be married. In fact when Frank arrived as a guest of the Vanderbilts, her mother accompanied her. Vanderbilt’s family didn’t care which of the two he married, the mother or the daughter, but they did want him to marry one. Upon Cornelius’ death his wife received little of the man’s fortune, as Billy had arranged a prenuptial agreement prior to the marriage. After Cornelius’ death the majority of his fortune was given to Billy, however several of his daughters, and his son Cornelius Jeremiah, contested the will. Their desire to have the fortune split more fairly amongst the Vanderbilt children failed, and not long after Cornelius Jeremiah committed suicide by putting a bullet in his brain. Although Cornelius is long gone, he is forever in the history books because of the large fortune he amassed, first through ships, and later associated with various railroads such as the New York and Harlem (today’s Harlem Line), the Hudson River Rail Road (today’s Hudson Line) and the entity to which he leased both, the New York Central. In the Historical Archives there are several items regarding Vanderbilt, including several obituaries, and a piece about his life that took up several pages of the New York Times the day after he died. Vanderbilt’s ego was so immense, he figured that many young ladies, so enamored with him, went to purchase railroad bonds because on each bore his own likeness. The archive also has several railroad bonds on display. Cornelius still looks out on the city of New York every day. 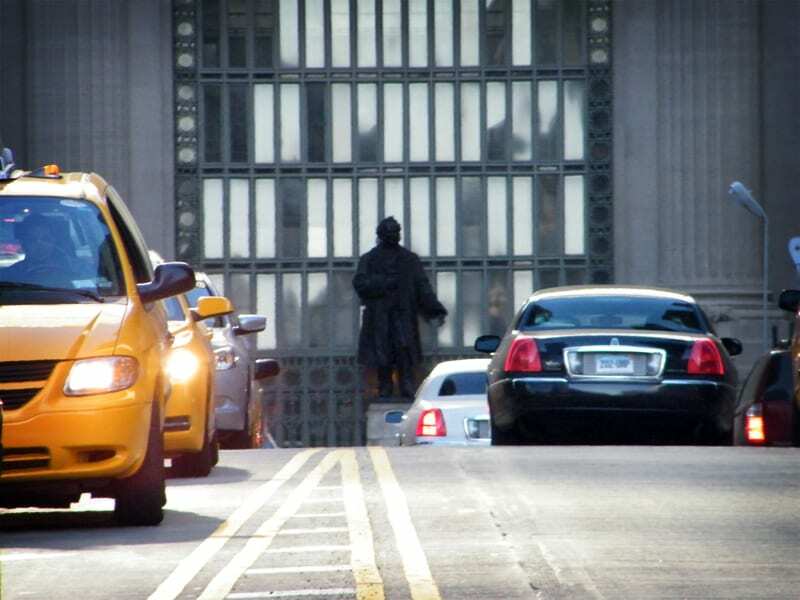 His statue is located under the main facade of Grand Central Terminal. Please note: This post was written based off of the information in the biography Commodore: The Life of Cornelius Vanderbilt written by Edward J. Renehan Jr. Some of the statements made in the book (including the syphilis and prostitutes) have been questioned by other authors for authenticity. Love the magazine mock-up, especially the effort put into the ‘throwaway’ side stories. Way cool.